In the UK's elections Thursday, the Conservative party won the majority in Parliament, so David Cameron will return as prime minister. The Conservative party secured 331 seats of the total 650 in Parliament, just more than the 326 needed to form a majority administration. The second largest party, the Labour party, headed by David Miliband — who resigned after the loss Friday morning — won 232 seats. A meeting was scheduled for Cameron to meet with Queen Elizabeth Friday to discuss forming his government. In a victory speech Friday, Cameron said: "My aim remains simple — to govern on the basis of governing for everyone in our United Kingdom. I want to bring our country together, our United Kingdom together, not least by implementing as fast as we can the devolution that we rightly promised and came together with other parties to agree both for Wales and for Scotland." He began announcing his government appointees on Twitter Friday, saying Theresa May will remain as home secretary, Philip Hammond will remain as foreign secretary, and Michael Fallon will remain as defense secretary. So, who is David Cameron? Here are five things you should know about the man who's led the UK since 2010. When I picture a British prime minister, a grandpa with white hair and a cane usually comes to mind, but Cameron is actually pretty young. 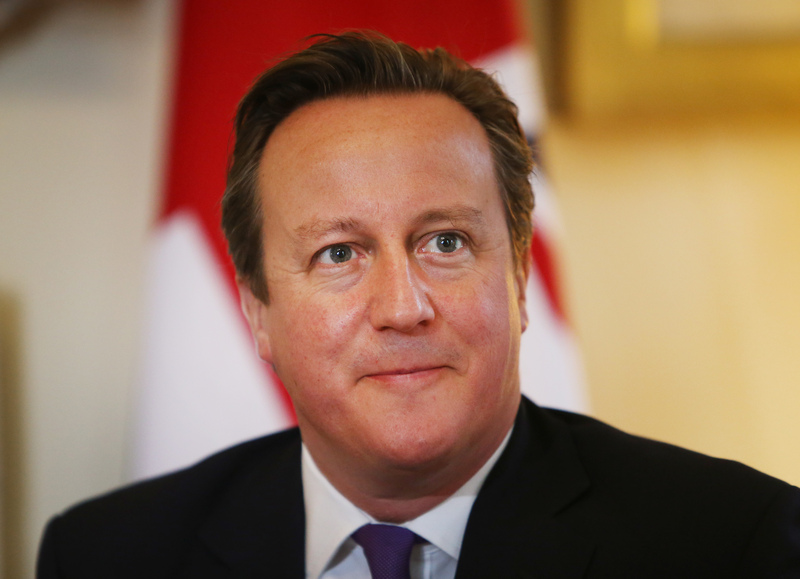 In fact, he's the seventh youngest prime minister in the UK's history. The politician is only 48 and his youthful face certainly shows it. Despite his relatively young age, he's been a member of Parliament for Witney since 2001 and the leader of the Conservative party since 2005. The prime minister's total salary is 142,500 GBP (about $220,000) per year, but his family is pretty wealthy. In 2010, Cameron inherited 300,000 GBP ($464,000) from his father and it's estimated that his and his wife, Samantha's, families are worth 30 million GBP ($46 million) combined. Cameron and President Obama are the exact same height: 6'1". Add this fun fact to your party-talk repertoire. Cameron has said he plans to negotiate a "better deal" for the UK and to hold a referendum on whether or not it should remain in the EU. It's not clear what Cameron hopes to gain from the EU, but he will have an opportunity to discuss his wishes in two weeks at a special EU summit it Latvia. When Scotland voted to remain a part of the UK in 2014, Cameron said he was "delighted." In a speech following the vote, Cameron said: "It would have broken my heart to see our United Kingdom come to an end. And I know that sentiment was shared by people, not just across our country, but also around the world because of what we’ve achieved together in the past and what we can do together in the future." Scottish nationals won Scotland's elections by a wide margin though, potentially reigniting the wish to break off from the UK.